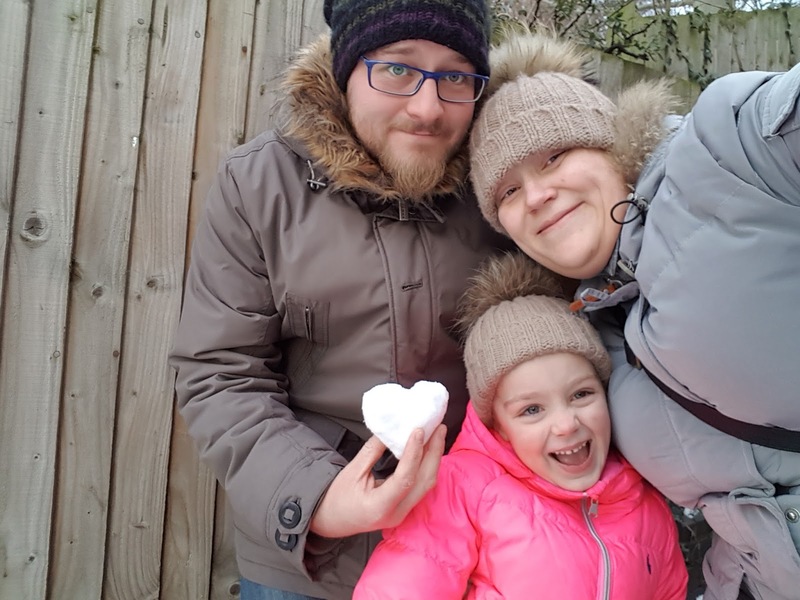 Usually at the end of the month I have shared a family photograph and written a bit about the month past. It is a great way of looking back, reflecting on what has been happening and actually having a reminder of our changing family. Having kids makes everything just so damn busy that you hardly have a chance to stop for a moment and appreciate the changing days. 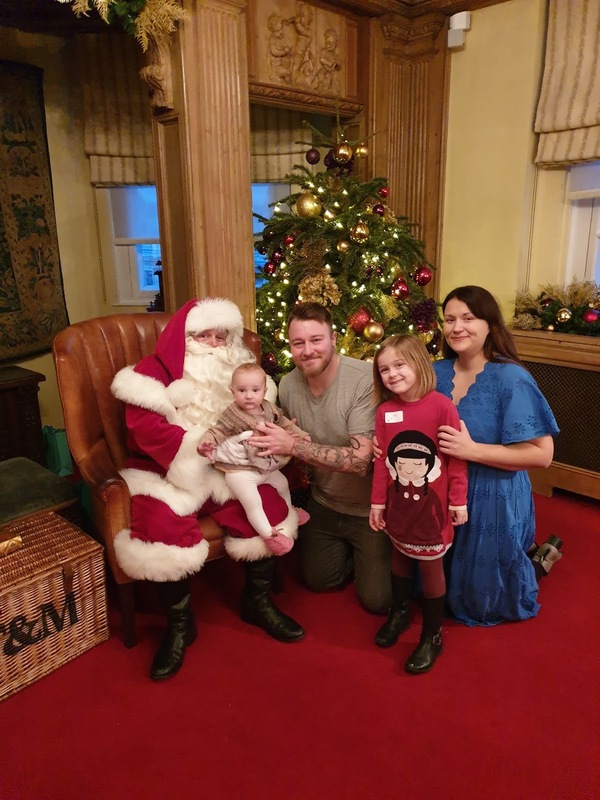 Other than that we went to see Santa (of course), this year at Fortnum&Mason's, and us parents went to drink a few cocktails up at the Shard. It was lush. Such pretty photos I will be due to share at a later date in more detail. So this year our December family photos were done with Santa. For whatever reason we just didn't manage to get in front of the camera as a family after this, so this will have to do. 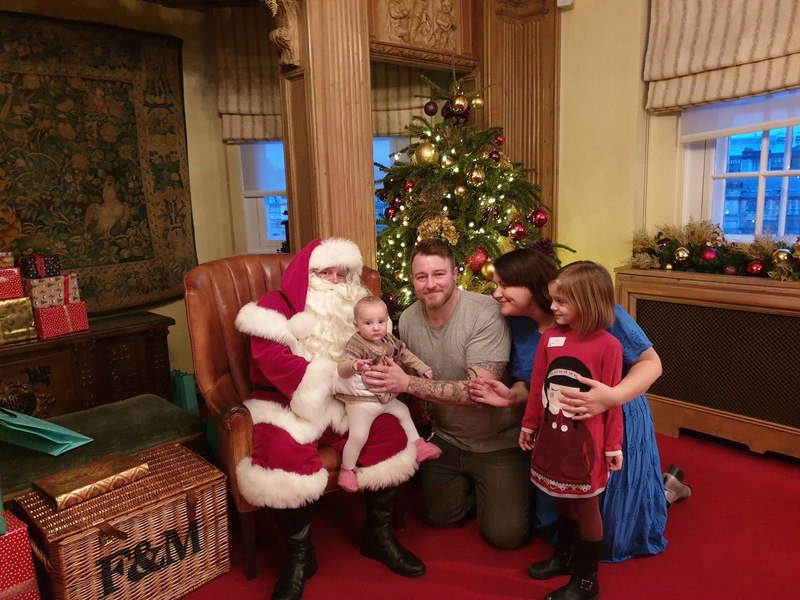 The earlier family photos are from various places - some just from home and out at the park, and some from around our London micro-adventures, like the Kensington Palace, Cutty Sark and Whipsnade Zoo. So here they are - starting from January! 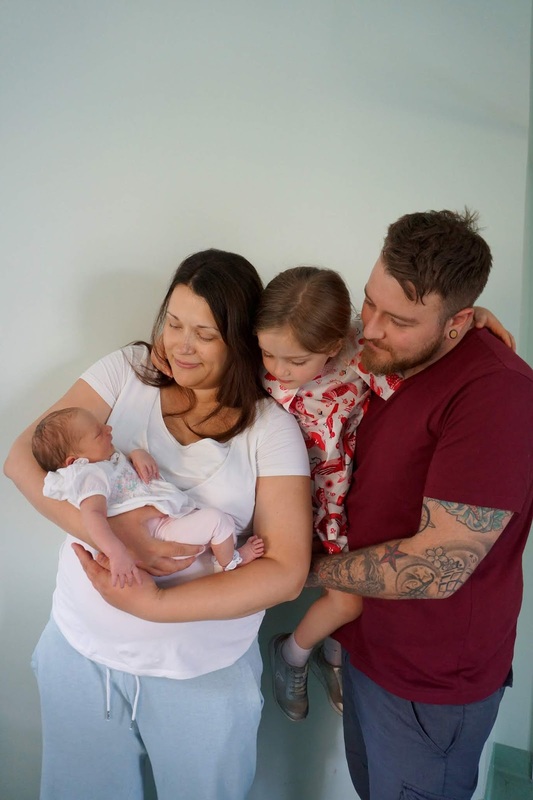 This year we welcomed our baby number two to our lives, and it has been so strange that it feels like she has always been here. She just slotted in, perfectly. 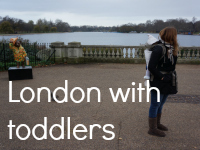 Despite the busy times a baby brings we managed to have quite a few micro-adventures here in London. 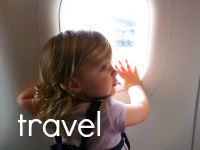 A family trip here and there, and a couple of date nights too. We've been to London Zoo, Whipsnade Zoo, London Aquarium, Kensington Palace, Tower of London, Cutty Sark, V&A Museum of Childhood, The Shard, the opera, the theatre, and lots of local places. 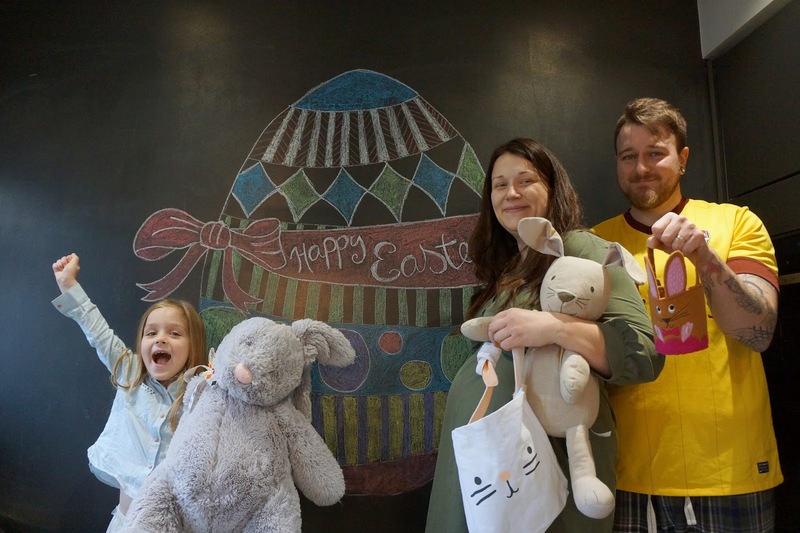 I have really been enjoying my maternity leave, I do not miss work at all, and even if I haven't managed to do as much of my maternity leave plans, I have felt like I have been able to rest and recuperate well. The last few months of my maternity leave will be busy having to prep all kinds of things home, at blog front, and for return to work! There are quite a lot of clearing I have to do at home, and probably my wardrobe needs a proper sorting and clearing out. I have also got to think a bit more what I want to do and achieve in my career - some sort of change is needed. Taking photos of my family every month for a year has been at times annoying, at times funny, and most of the time me having to nag at everyone to come in front of the camera for the five minutes it takes... That said, looking back at these photos I am glad I have been persevering with it, because just look at it - how fantastic is it to have a reminder of the times you have had with your loved ones! How was your year 2018 and did you take any family photos? You might also like: What happened in our lives in October 2018? I am sure I am not the only one who leaves buying presents until the last moment. There are always so many things to do, like school runs, tidying up, working, going to the gym, watching TV, scrolling social media (ha ha) and so on, until you realise that you are traipsing the shops the day before the big day and sweating profusely running form place to place because nothing is just quite right. 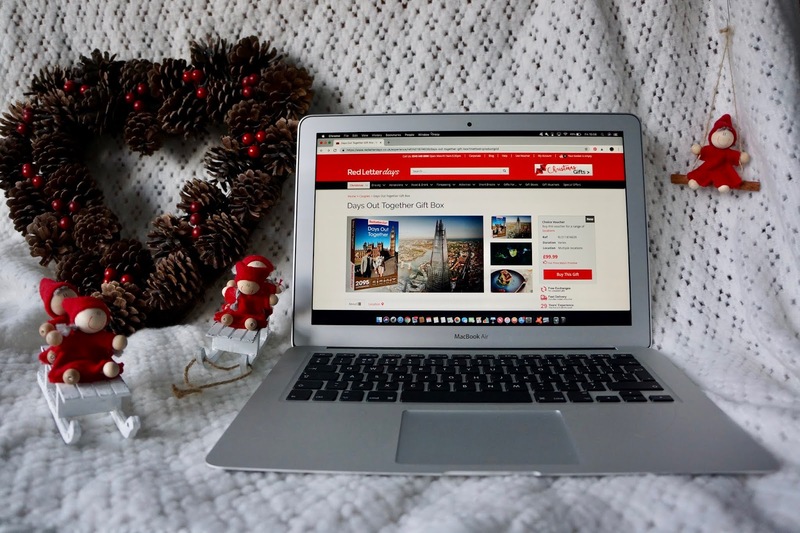 Luckily, Red Letter Days has given me the ultimate last minute gift to give away to one of you guys and asked me to write a bit about the prize. The prize, their Days Out Together Gift Box is pretty much the easiest last minute gift ever, and offers a wide variety of choice. The Gift Box is worth £99.99 and you can choose from over 2,000 experiences across UK (and 100 in Europe too!). It can be delivered in a gift box, or alternatively, for the worst procrastinators amongst us who need it now and not later, you can print an instant eVoucher. A total life (or rather, party) saver! I loved that the Days Out Together Gift Box is about experiences, and something you can share with a loved one. As an adult you tend to buy yourself most of the things you need, and realistically, there aren't a huge amount of things you want. Experiences, not things is a mantra repeated by more and more people. It is a real treat to do something out of the ordinary, to try something new, to see something exciting. And as much as a lovely treat a gift such as a luxurious shower gel set may be, it is the experiences that you will remember in the long run. There are experiences across UK you can book with the Gift Box, but just in London there are already a huge amount of things to try. A kayak tour on Regents Canal with a qualified instructor, tickets to see the Wicked musical and a meal for two, or a three course meal on a jazz cruise are just a few small examples of what is on offer. 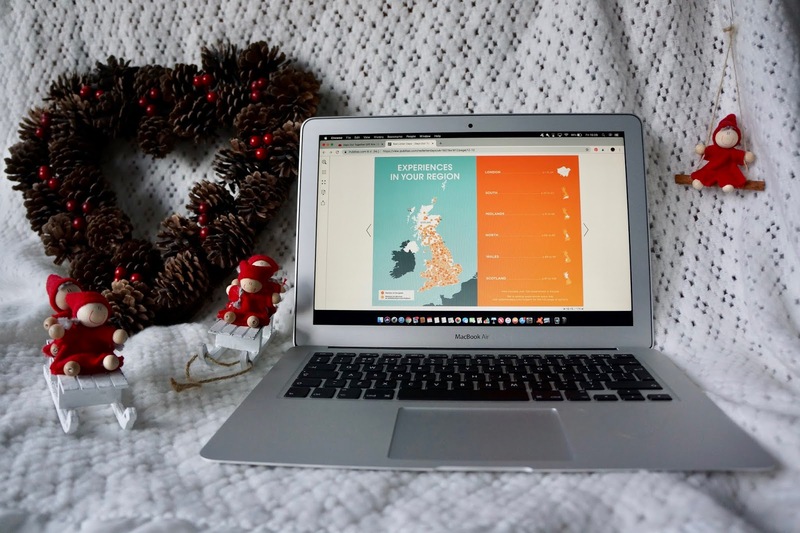 Across the UK there were spa days, hotel stays, and outdoor experiences like Segway rides or quad bike rides, so there is something for everyone. We went for a visit to The Shard and a meal, and it was absolutely perfect. 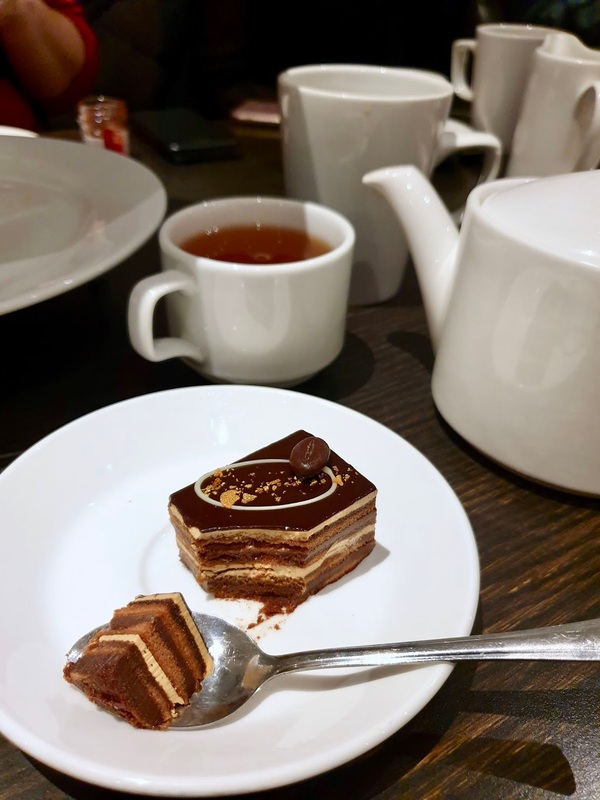 We loved our visit to The Shard, and booking it using the Red Letter Days voucher was simple and easy, exactly what you would want of a gift - everything taken care of! So, if you are a serial procrastinator like I am, you should definitely keep in mind the experiences Gift Box by Red Letter Days can offer. It just might save your skin the next time you are in a tight party spot! Enter the giveaway below, UK entries and over 18 only. P.S. Don't miss my other giveaway for a luxury merino wool cashmere baby blanket from Willow and Cole! What is your favourite last minute gift to give? 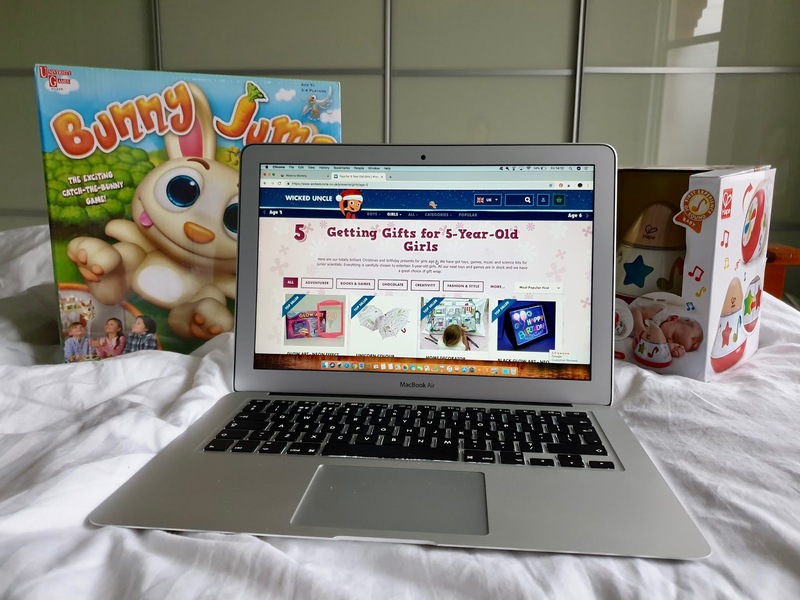 I've got a five year old, so of course I wanted to do a gift guide for girls this age. They in a way are quite easy to buy for, and in a way not necessarily. Here are some ideas ranging from collectible toys to books, that will appeal to girls aged five to six. You might think that they are too young for a tablet, but we gave our daughter one last year and it has been one of the toys she still loves. So it is definitely one to recommend. You can get kids versions, and I really liked Kidicom Max. Everything is child friendly and appropriate. There are strict parental controls and all websites and videos have been pre-approved and suitable for small children. Kids can also use it to chat with their friends/family via a special app, which again is parent approved contacts only. I've also uploaded free games (CBeebies etc) on it. My daughter loves watching videos, sending picture and messages to us and her grandmother, and taking pictures with her tablet. A year on, it is still as fun as ever. My only gripes are the poor battery life, and it can be a bit slow sometimes. They are all the rage at this age, and onwards. This year we got our hands on a new collectible toy called CryBabies Magic Tears - tiny little baby dolls dressed up as different animals. And they cry too. They come with multiple little accessories, in their little box houses which you can then use to house the doll and the said accessories. Very cute, and very popular with my daughter and her friends who have been over to play with them. Num Noms are another popular collectible toy and we've had quite a few of these too - they are good fun even if as an adult I don't quite get them. Kids like to stack them and say they are "so cuuuuute!" ha ha. This year Boots sent us the Num Noms Glitter Lipgloss Truck to go under the tree, and it is quite good fun making the lipglosses. You do need adult supervision to mix them though. So, this year PJ Masks seem to be the big thing at Early Years - all the kids are raging about the show. So, I've selected quite a few PJ Masks things to go under the tree. The night light Owlette was received very well, with my daughter saying "I didn't know I wanted to have one, but now that I have one, I love it". You can have these in other characters too, not just PJ Masks. Pyjamas are always a handy gift, and PJ Masks pyjamas are widely available. I bought ours from Sainsbury's, and I have seen versions in Matalan and Asda as well. And of course dress-up products are always a big hit at this age - this year I bought her an Owlette costume, which is very popular with girl PJ Masks fans. For dress-up the regular Disney Princess outfits are very popular too! This is a bit of a controversial one for girls this age... But in my experience they love it! There are plenty of nail polishes made specifically for kids, with no nasty chemicals and water soluble. Nailmatic is one example and Claire's do ones too. Also, just buying a very simple lip gloss (you can have these branded with all kinds of characters) or lip balm with a nice scent to them is perfectly enough to satisfy that girly interest in make-up, but not be over the top. Claire's have an amazing selection of Lip Smackers and other very cute lip balms and lip glosses little girls love! Lego is such a classic toy, and at around five kids start to be able to better follow the instructions and actually construct the Lego toys themselves. I would go for the Lego Juniors and Lego Friends for this age group, as these have simple but challenging enough models for kids in Early Years. For little girls, there are also Lego Princess models, drawing inspiration from Disney films. I didn't even know there were Lego like this until my daughter asked for one - for Christmas we got her an Ariel set. I covered jammies already, but a nice party dress is a great gift - and if it is under the tree in the morning, you could suggest they wear it for Christmas dinner and evening celebrations! We received the most gorgeous shimmery dress from Boots, Fearne Cotton collection, which has been a fab favourite worn to all Christmas parties so far. She also got a nice home outfit to wear from Boots Miniclub Christmas collection, another thumbs up for that one. You know the rhyme about the four gift rule for kids - a gift you want, a gift you need, a gift to wear and a gift to read... Well, a book is always a great gift at Christmas time be your age anything. For kids aged 5-6, their reading abilities vary a lot so do keep that in mind. Christmas books are nice to receive though, and Grinch is a classic! 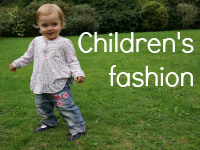 What would you get girls aged five to six? 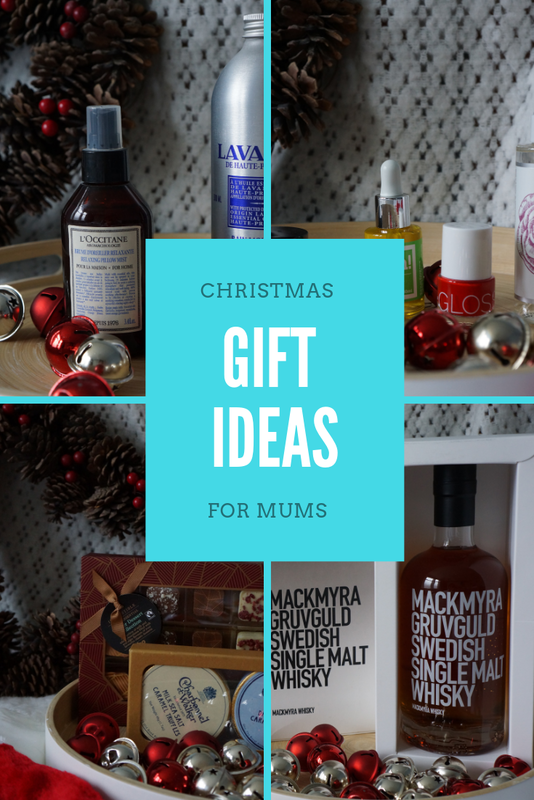 So, what would you buy a mum for Christmas? From personal experience, ahem, I know that mums are short of time and in need of a bit of pampering. In addition to that, anything that saves time and effort is also a big plus! So here are some of my ideas for little things to bring joy into our lives, ranging from consumables and subscription services to more practical items. 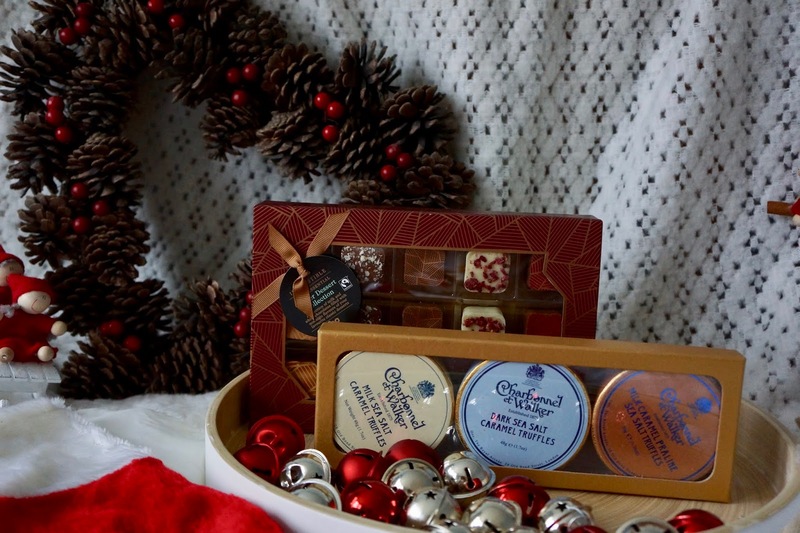 Who wouldn't love nice chocolates, or flowers or luxury biscuits for a Christmas gift? My personal chocolate favourites are Hotel Chocolat, Prestat and Charbonnel et Walker, who all do special Christmas and winter selections. It is well worth choosing the Christmas chocolates over the regular stuff, as they use seasonal flavours such as mulled wine, clementines or even Christmas pudding. For more affordable versions, most supermarkets do great Christmas chocolate selections with their premium ranges. Flowers and biscuits are another great choice. You can get them for a postal delivery as well, and some companies ensure they fit through the letterbox, making it as easy as possible for the recipient. For flowers I have previously got a Bloom&Wild box which I liked. For biscuits I can recommend Biscuiteers. I recently received a birthday gift from them, and absolutely loved the intricately decorated biscuits, which tasted great, not sickly sweet like most iced biscuits do. In addition to bigger boxes, they also do letterbox selections. I love subscription services - they are a great way of trying new things that you wouldn't necessarily know about or even think to try. I find they are perfect for someone who is curious of new products and experiences, and is a bit adventurous with their tastes. As a Christmas gift, they also keep on giving well after Christmas. I've always been a fan of trying new tipples, so The Summerton Club was right up my street. They curate a collection of rare and unique spirits, not something you find at the supermarket shelfs, and ship a bottle of beautifully aged brandy, whisky, rum or another spirit to your home. 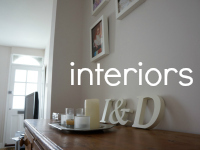 The service costs £50 per bottle, and you can choose from monthly to quarterly deliveries. I loved that with the bottle you got also the story behind the product - I got sent their October bottle, a Swedish whisky, produced by eight whisky-loving friends and aged in a Swedish mine. Fittingly, the drink is called Gruvuguld or Gold from mines, and you can only buy it in Sweden. Or be sent it by The Summerton Club! Magazine subscriptions are also a nice idea. 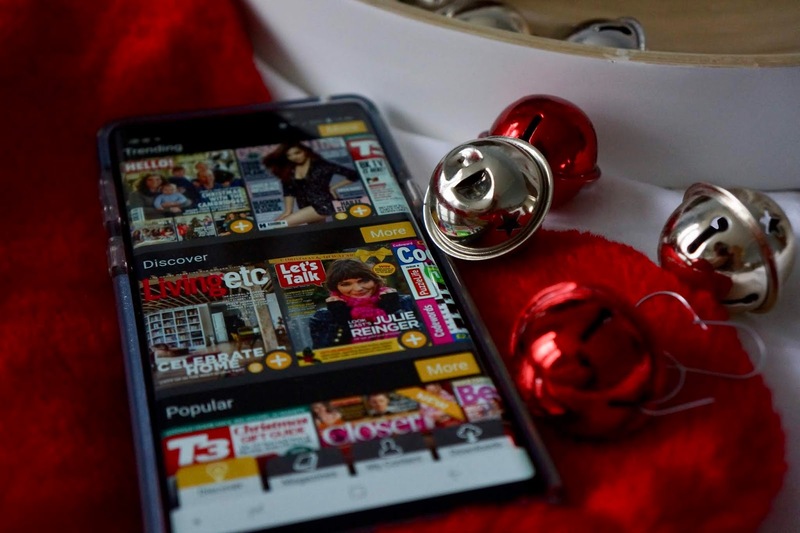 Recently I got to test Readly, an app that enables for you to have a subscription to unlimited amount of magazines. I've loved being able to find loads of new things to read, and to try new magazines from computing to crafting. There are quite niche magazines as well, so plenty of choice. 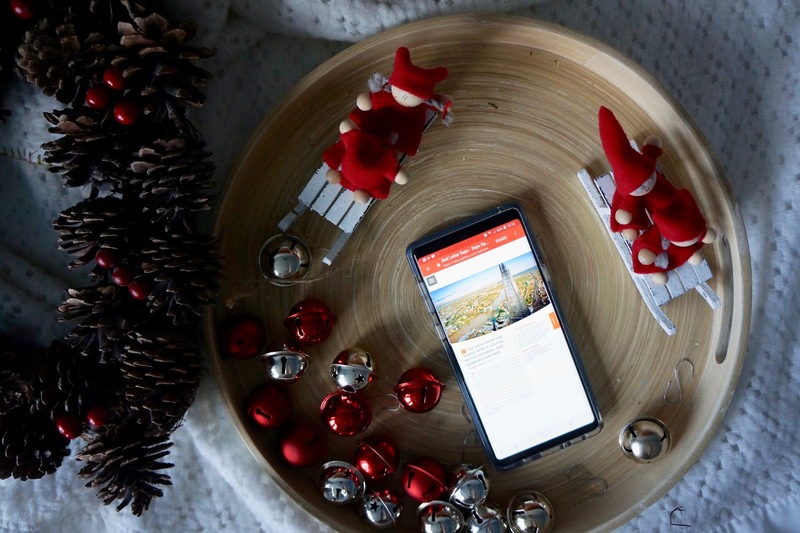 The subscription costs £7.99/month (although there are often sales and special deals), and you can share the account with 5 family members and read off-line too. I'd say it is perfect for magazine-loving commuters for example! Or just people who want to read a lot. You can get subscription services for pretty much anything! Other good choices include chocolate subscriptions (Hotel Chocolat does one! ), flower bouquet services (Bloom&Wild does one!) or even beauty product subscriptions - I hear Birchbox is popular. Speaking of beauty products, some carefully selected cosmetics can be a lovely addition to the gift sack. Recently I've been increasingly loving organic and natural ingredients, and looking at reducing the chemical load on my beauty products. I've enjoyed testing these following beauty products for that reason. Lyonsleaf zinc & calendula cream is very light and feels nourishing on skin. It is see-through (not the typical white zinc paste) so you can use it on your face too - and as a mum it is nice to see it is suitable for sensitive baby skin too, should I want to share it. Rose water by Alteya Organic smells deliciously just like rose, and is such a lovely smell to use in skincare. Rose water has mild astringent properties, so I find it is good to use as a toner, helping keeping pores and skin clear. You can also spritz it on your face to refreshen the skin, anytime during the day. I also tested Oils of Heaven Natural Cacay anti-aging oil, a fast-absorbant and odourless oil, which felt pleasantly moisturising and softening on my skin, and Glossworks nail polish, a gel-like nail polish without any of the usual harsh chemicals found on most conventional nail polishes. After a full-on family day just relaxing and resting is essential. I love soft comfy pyjamas, and a warm pair of socks to sleep in. My favourite pyjamas come from Hush - soft brushed cotton, comfortable and durable. For socks to chill in, cashmere socks are luxuriously soft, and a perfect little something for Santa's sack. And another lovely upgrade to the common slippers - buy sheepskin slippers! They are the warmest and softest thing ever, and last much much longer than the more cheaper slippers. My personal favourites are Shepherd of Sweden slippers, which are fluffy and very long-lasting. I've recently also seen Sainsbury's do very affordable versions, and they looked like good quality too! For a restful sleep, think of different lavender based products. L'Occitane for example does lovely gift-sets that will help you drift off to sleep - their pillow mist is wonderful for shut-eye too! What have you bought for the mums in your lives? When the gift-buying website Wicked Uncle got in touch and asked if I wanted to test their service, I was pretty much like... "Dah!". Well of course I would! I get to shop for toys and write about it, what's not to like about that? So off I went to get a couple of Christmas gifts for my girls with a voucher they sent me. I've never actually tried one of these gift-buying websites before so it was all new to me. 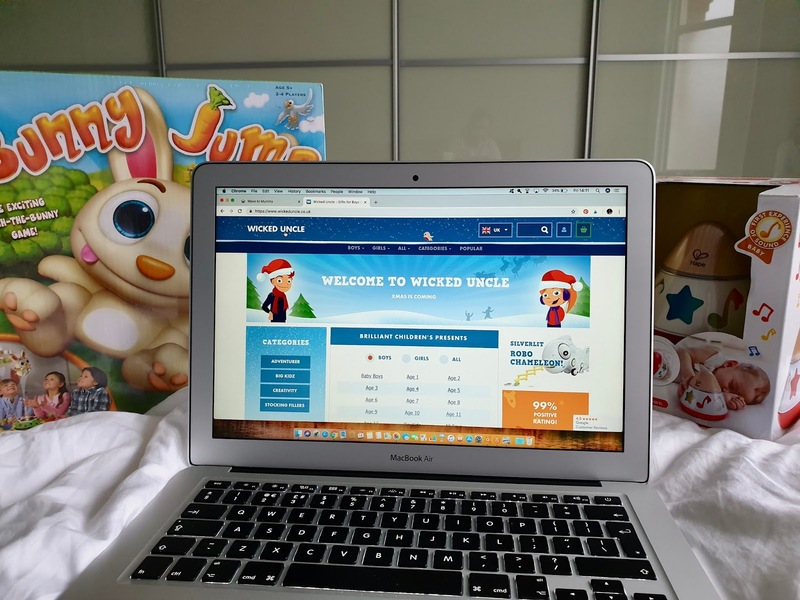 Wicked Uncle is a website that specialises on toys for kids and tests many of the toys themselves, with the help of actual kids. I found that having that pre-selected number of toys to look through made it a lot easier to find and choose something fun for the kids. There was a good variety of different types of toys, and you could definitely find something for even the pickiest kid. I liked that you could search through the selection of toys depending on gender, age, and even categories such as adventure or creativity. As I think toys are just toys, it was nice to see that the toy selection wasn't drastically different for boys or girls. 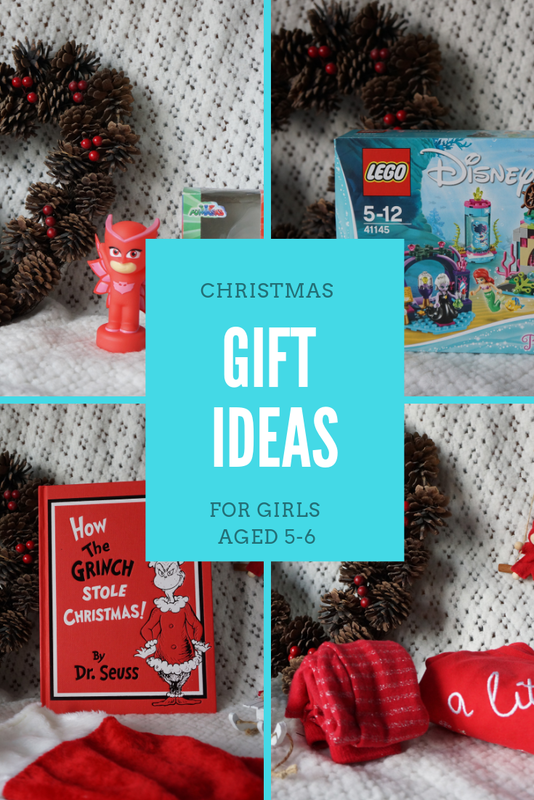 Both girls and boys got suggestions for tech, science and arty gifts, so there was none of the usual annoying gender stereotypes being promoted. Girls seemed to have more of unicorns, and boys dinosaurs, but otherwise suggestions lacked gender stereotypes. I decided to get one gift for my baby girl and one for my five year old daughter. 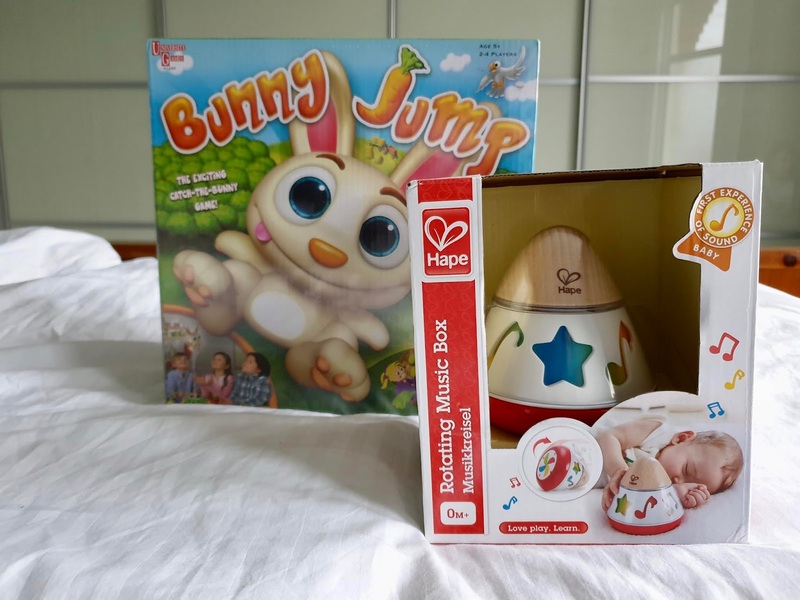 The toy selection for babies was a lot smaller than for older children, but I managed to find a beautiful Hape musical toy which I am very happy with. For my older child there was a lot of choice and it was a bit difficult to choose something as everything looked like a lot of fun! In the end I chose a board game so we could all have some fun family nights. 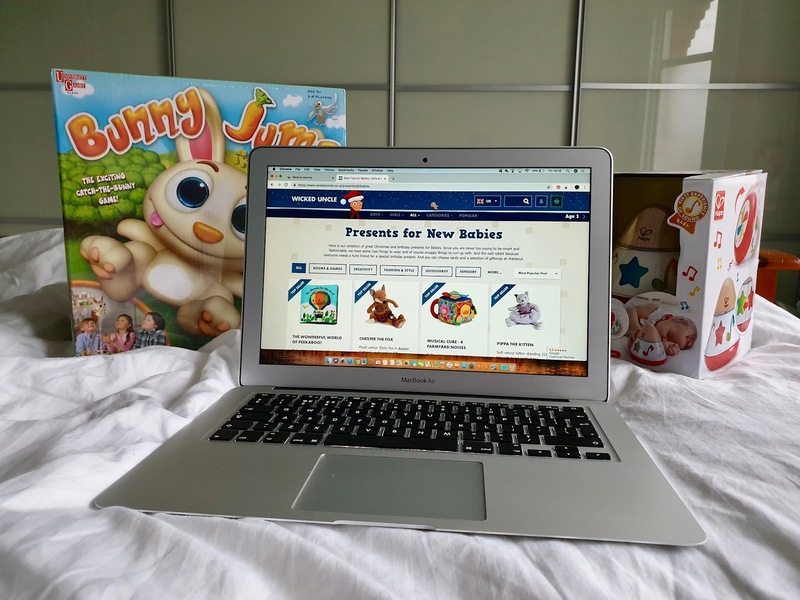 The game looked perfect for my bunny-obsessed daughter and I am sure she will love it. We got the gifts within 48 hours which was good. Mind you, you do have to pay for the delivery regardless of how much you order, so it is good that the delivery is guaranteed to be quick. There was no paperwork in the delivery, so it would work perfectly if you wanted to send the gift directly to the recipient. You can include a free gift message within the box, and for an additional sum you can also have a hand-written greeting card and gift wrap. There was also a pre-written thank you card in the box which I thought was clever as you always have to badger kids to write a thank you note! All in all, I thought Wicked Uncle worked well and was happy with the service. I could definitely see myself to be a wicked aunty in the future, especially when I need to order something quickly and with minimal hassle! Have you ever used Wicked Uncle yourself? So, I've made my own perfume. 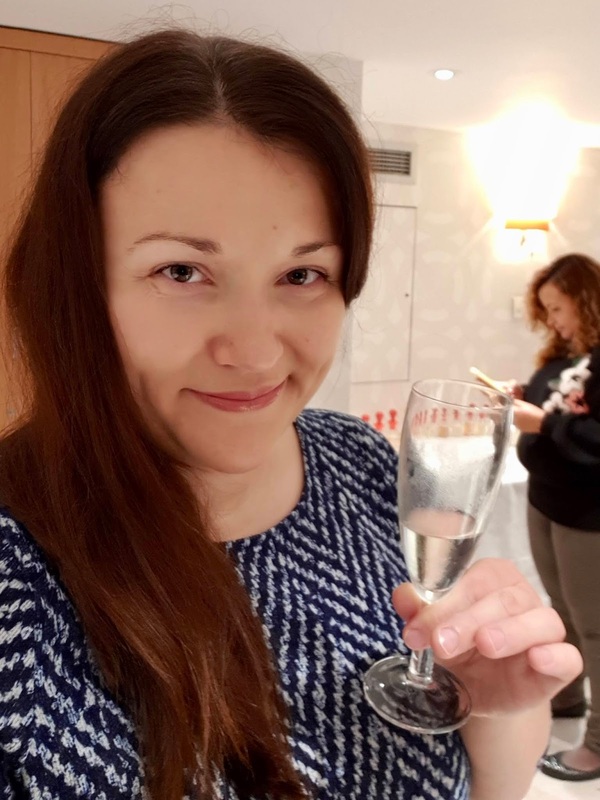 For ages I've wanted to do something different, learn something new, and do something just on my own without the kids, so when Buyagift invited me to review a perfume-making workshop with The Perfume Studio, I jumped at the chance. And I had such a fabulous time! 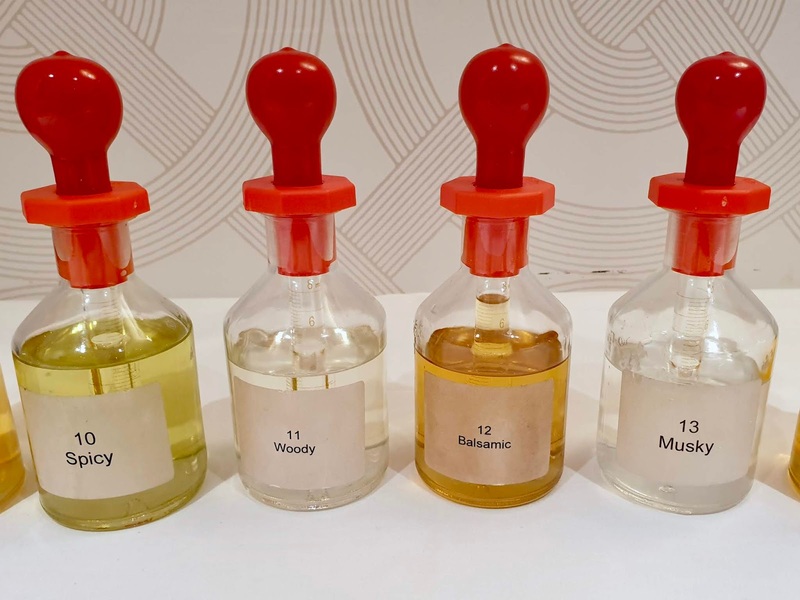 The Perfume Studio has also kindly gifted a perfume-making kit for my readers, so you too could try your hand at this in the comfort of your own home. 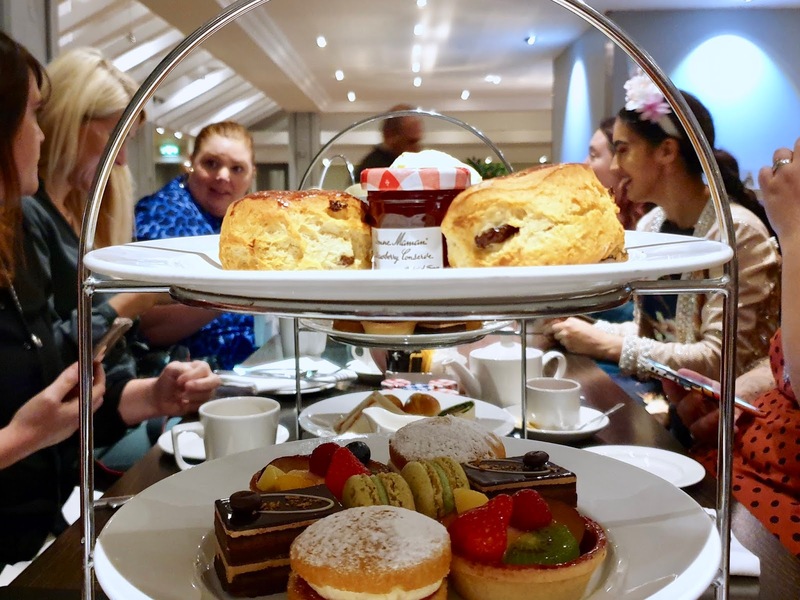 I was invited to experience the Platinum Experience - designing my own perfume and topping it off with an afternoon tea at Hilton London Kensington. A glass of bubbly in my hand I listened to an explanation of how we would design our own perfumes. A perfume stylist explained us all about base notes, middle notes and top notes (the different levels of the scent). 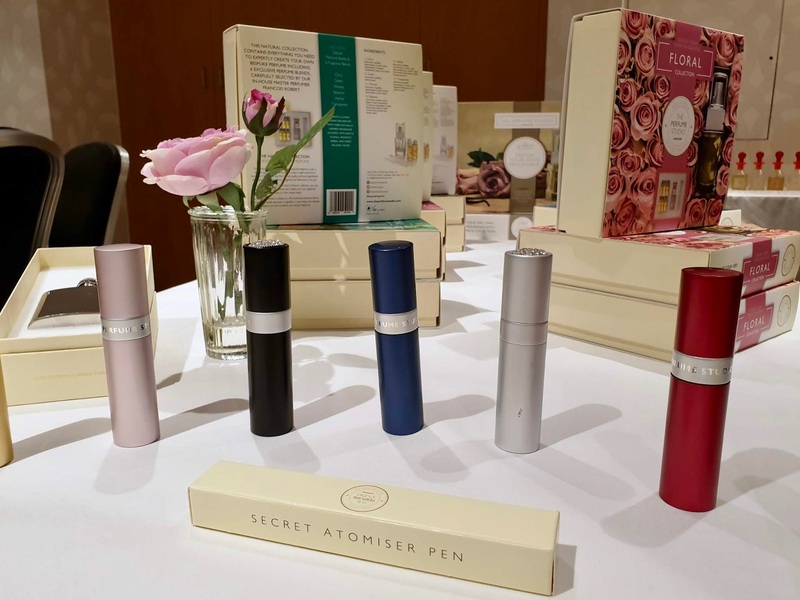 It was so fascinating to hear what famous fragrances contain similar types ingredients, and what different types of scents are meant to tell you about their wearer. The perfume you make is made from specially pre-prepared perfume blends. There were 21 perfume blends, created by a Master Perfumer, which we could choose and mix from. 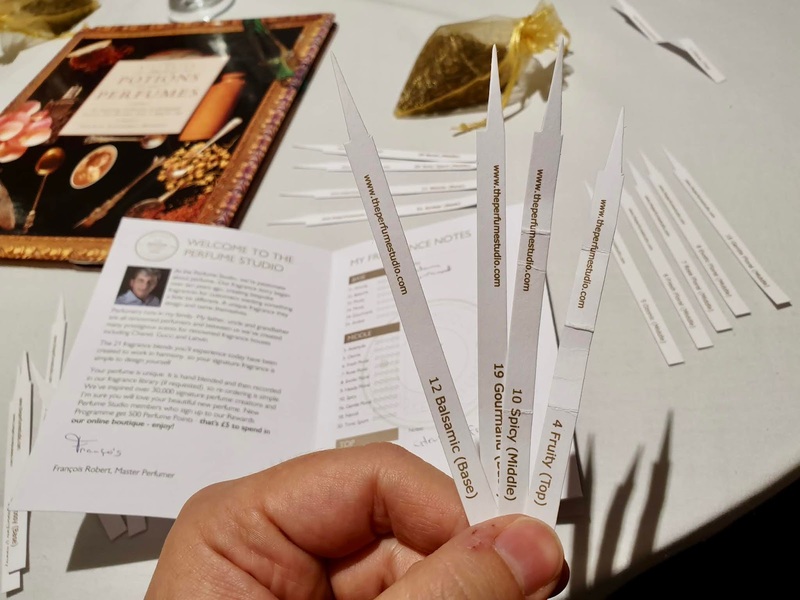 The idea was that each of the blends was a perfume in itself already, so you would choose a few, typically one base, one middle and one top note, to create your own bespoke favourite blend. And believe me - that was difficult enough! Sometimes you might really like one scent, and love another, and then combine them to find it was just plain odd or unpleasant together. So we sniffed and pondered and set aside some scents and selected others, and combined them with each other and pondered a bit more, and every once in a while smelled coffee beans to "re-set" our nose. We would wave the perfumed paper strips in front of our noses with a variety of combinations and try select the best mixture. As it's winter now, I decided to go for something heavier, and I purposefully wanted to have something a bit different from the floral scents I usually go for. So out went the light and girly florals, and in went spice and edible fragrances. I chose gourmand and balsamic as base notes, spicy as the middle note, and put a touch of floral as a top note. In the end it worked quite well. I am not sure if it has become my favourite ever fragrance, but I'll definitely get use out of it. And in fact, this has now ignited a want in me to design some other types of perfumes for myself - I'd definitely love to try my hand at creating a lighter perfume with rose and citrus! After the experience we all went to the restaurant at Hilton to enjoy an afternoon tea and talk about our creations. It was so interesting to smell all different kinds of scents and people did so well! I hadn't had lunch before coming, so I devoured my afternoon tea sandwiches and cakes, of which there were so many I actually left feeling rather full. Nice touch, finishing the perfume-making experience with some tea and cakes and having a good old chin-wag about it all. The cakes were delicious and there was such a good selection from scones to detailed patisserie, there was something for all kinds of tastes, and a couple of savoury morsels too. So yes, this experience was a world apart from my childhood memories of brewing rose petals with water and I got to create something special for myself. While it feels like a more of a girly thing to do, it would be suitable for men as well, as there were plenty of more masculine scents to choose from if that floats your boat. Loved it, and I would definitely recommend it for anyone interested in beauty and perfumes! What kind of a perfume would you love? 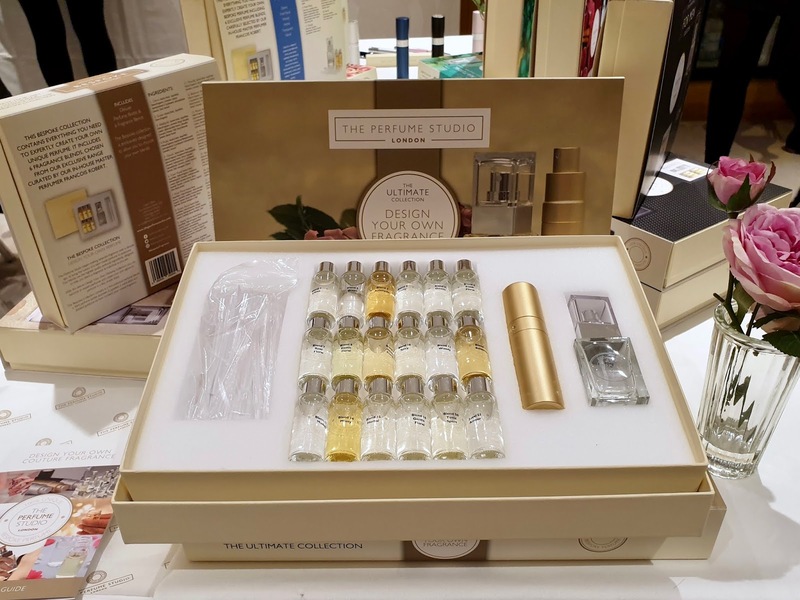 The Perfume Studio has also kindly gifted a Design Your Own Perfume Gift Set (£49) as a giveaway - perfect for a Christmas gift! The giveaway will complete and will be drawn on Christmas Eve, posted in the New Year. Enter below (UK entries, over 18 only).